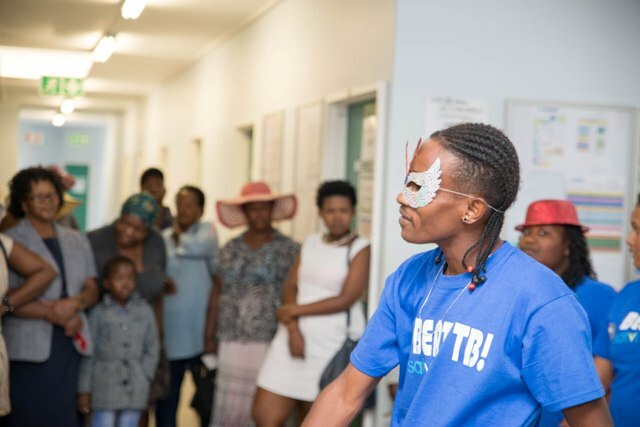 The drama which is performed by community members, under the guidance and mentorship of Dr Veronica Baxter from UCT’s Drama School, tells the story of Lienkie, whose lungs “talk with each other’ about their health and the health of Lienkie’s boyfriend. According to Dr Michele Tameris, who is based at the Worcester field site of the South African Tuberculosis Vaccine Initiative (SATVI), this Wellcome Trust International Engagement Award funded project was developed to encourage the community of Worcester to engage with the science of TB disease and research, as well as to consider their options and choices about their own health. Over the past 5 months the actors have performed various forms of street theater including very effective taxi theatre. 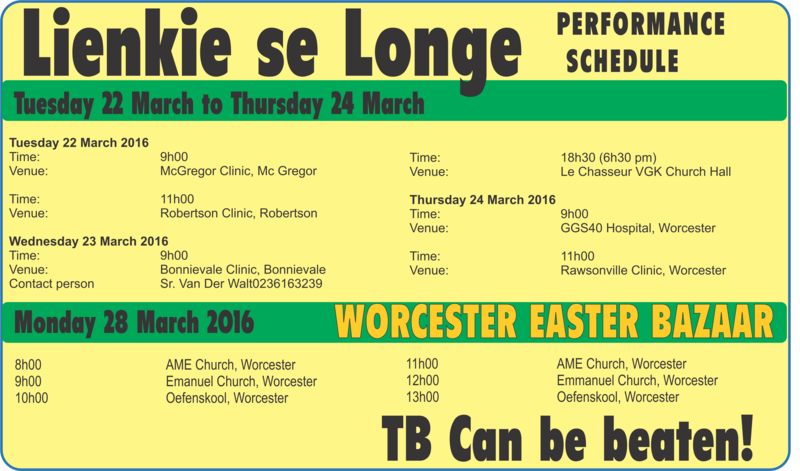 In the week prior to the Easter festival they will perform at clinics and farms in Mc Gregor, Robertson, Bonnievale, Worcester and Rawsonville. Their 6 performances at 3 venues on Easter Monday will use all the insights and experience gained from the preceding 5 months and will include new songs, interaction with the audience by asking them to make a decision on e.g. infection control and will be evaluated by opinion surveys and focus group discussions after the event.